In many ways the mid thirties have not been kind to me. Being now in the throws of early parenthood with two boys, my once youthful energy and exuberance have succumb to a slowed metabolism and ever declining level of motivation. The students I hang around with are starting to call me old and place me into a different category than when I started working with teenagers over ten years ago. Even my desire to explore new ideas and better myself have siphoned off to a critical level. While I believe this is part of the natural life cycle coming out of youth into adult and middle-aged (yikes!) years, I don’t think I have handled it very well. The thing is, I haven’t handled my mid-thirties very well. While I am so glad God has allowed me to live on this earth so long, I have also had trouble accepting my youth is more behind me. My blessings abound. I have the most beautiful and lovely wife a guy could ask for who gave me two boys I am in love with. I work a job I am passionate about and I have some of the best people in the world who fill my life. Yet, as the years pass I feel like I have let some important things in my life slip away. I don’t read my bible as much as I used to, my prayer life is relegated to a laundry list of needs, and my church attendance is probably more obligatory than voluntary. In a lot of ways, I am not the guy I used to be. And, that makes makes me defensive and a little less than content. Over the last week I have had a few things happen to me that should have been humbling, but I met them with a defensive and even defiant spirit. I wanted to be right and justified when all of the evidence was stacked towards my failure. I have been ready to fight more than submit, more likely to agitate than make peace. This year, I am needing Lent in a way I haven’t it in a long time. But with that need, I also need a new perspective on Lent. Even now Lent tends to be reduced to “what I’m giving up” as a standard of practice for something so profound and meaningful. For many (including myself), this seems to be a pessimistic way of looking at things. However, I know this to be true, but have really lived in denial about my own mortality. The reality of being human is quite weighty. We have a short, finite existence that can end up being quite meaningless if we choose. Yet, in Christ our mortality has meaning. Our sins are real and we can’t fix them. We are dust and the only way we have breath is because of God. And not only do we have breath, but we have love, grace, and forgiveness. In the midst of ashes, we find joy and peace. So, I don’t have to be in denial. I don’t have to be defensive or defiant about my failures. I have a God who walks with me through those failures and gives me value and a new name. May this Lent season bring you such things. Lay some stuff down, but pick up some better things. Explore your own frailty and mortality and find God in those dim places. 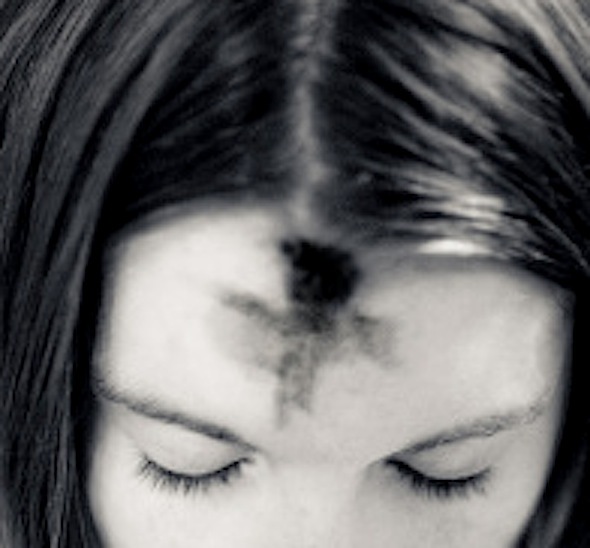 Join us on these 40 days as we walk through Lent. Let’s head towards the resurrection together.